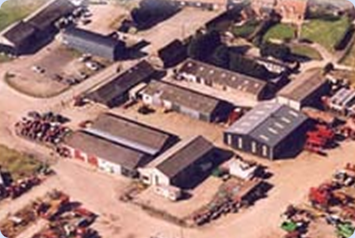 Blewburton provided pre- and post-planning advice to a large rural business regarding the redevelopment of its premises – current site shown below. The business is planning to construct a brand new facility on the site of the current premises to include a showroom, offices, a workshop, a tyre bay, a parts department and service bay. Involving close consultation with the client, architect and planning advisors, Blewburton was able to guide the developers to the identification of the most effective means of achieving the BREEAM Excellent rating required by the planning authority. The project presents a number of sustainability challenges owing to the nature of the business and the rural location. These included finding suitable sustainable solutions for the wide range of activities to be accommodated from vehicle washing, tyre storage and changing, vehicle servicing to retail and office work. The project is now in the construction phase and Blewburton continues to play a key role in the delivery of a sustainable facility that will meet the needs of the business and minimise its impact on the environment.